Chicago Bulls fans were understandably saddened when Derek Rose tore his ACL and the Bulls lost their chance at winning the NBA finals this year. "This was our guy; this was our year. This felt like a death," wrote WBEZ&apos;s Katie O&apos;Brien. So for Bulls fans, having to watch the Los Angeles Lakers make progress in the playoffs has been particularly painful. Just ask comedian Lil Rel, who remains a Bulls fan with very strong feelings about the Lakers. Read more of Lil Rel&apos;s thoughts on – arguably – the Chicago Bulls&apos; greatest rival below, or listen above. I was hurt when Derek Rose got hurt. I&apos;m a real Bulls fan...I hate Chicago fans who are Lakers fans. That&apos;s really starting to really irritate me. Be a Bulls fan diehard, that&apos;s what it is. Kobe Bryant is a Michael Jordan clone and I don&apos;t care what nobody says, he could never be Mike, and I&apos;ll give you three reasons. 1. 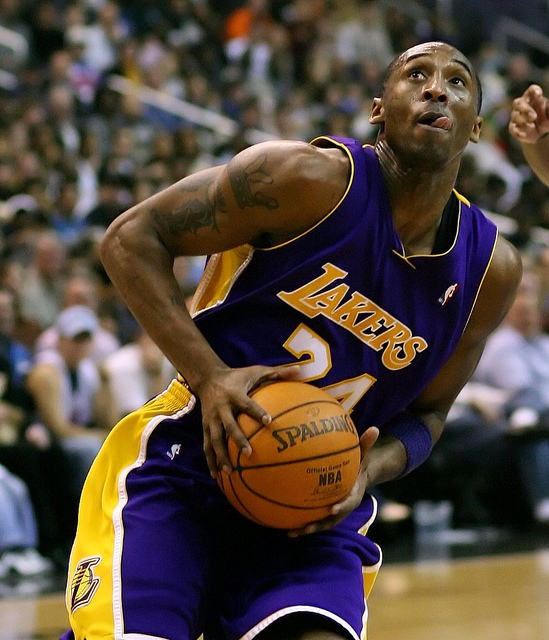 Kobe Bryant hasn&apos;t had a successful gym shoe yet. If they don&apos;t kill nobody over your shoe, you ain&apos;t sh** to me. Mike got murders on his shoe. That&apos;s messed up, but it&apos;s the truth. 2. When Mike got a divorce, he waited years later, he stacked his money up. Kobe cheated on his wife, she left him and she took all that money. And Mike, we don&apos;t even know what Mike gave his wife. I think they planned that, that&apos;s how dope he is. That&apos;s not a real fact, but hey, that&apos;s number two on my list. 3. Because he could never move as Michael Jordan. He tries to talk like Mike but he can&apos;t do it. Mike is the only person we never noticed it, but it&apos;s such a smooth, black man voice that you watch a Michael Jordan interview and he says, &apos;You know, you gotta do what you gotta do." You don&apos;t even know what he&apos;s saying! Which is perfect.